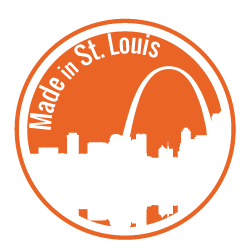 Every beautiful, high quality Aspen Spas hot tub is made in the USA, built right here in our St. Louis, Missouri facility. 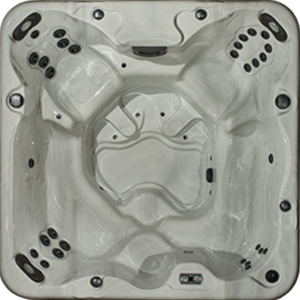 Each one of our outdoor hot tubs is crafted with care, precision, and dedication by our skilled craftsmen. Pride in local American-made manufacturing at its best. 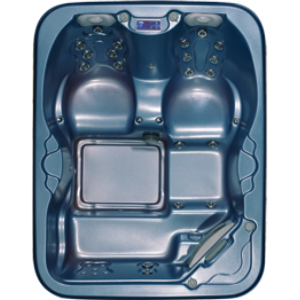 In fact, our St. Louis hot tub dealers pride themselves on quality, innovation, and customer service throughout the entire process. Aspen Spas offers the hot tubs St. Louis residents love for life. 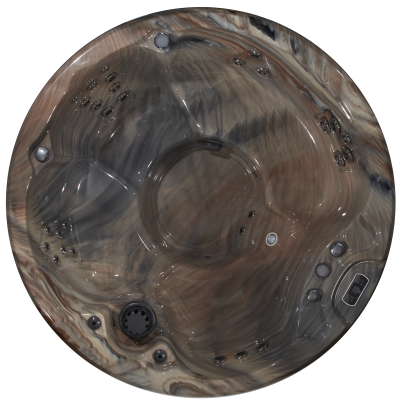 Currently we feature eight different models of hot tubs. They are available in three exclusive series, each offering incredible therapeutic benefits and unique features. Unparalleled craftsmanship and attention to detail as well as a color and style for every taste. 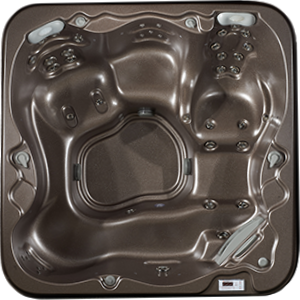 Come explore our showroom, visit with our staff, and discover which of our hot tubs reflects your lifestyle. We look forward to serving you and answering your questions! For any additional questions, please don’t hesitate to contact us online or call our St. Louis hot tub experts today at (314) 328-6008. You’re also welcome to stop by our full public St. Louis hot tub showroom to try out the spas for yourself. We’ve got 7-10 spas running on the floor, ready for you to test. Come see the spas and hot tubs St. Louis has been raving about! 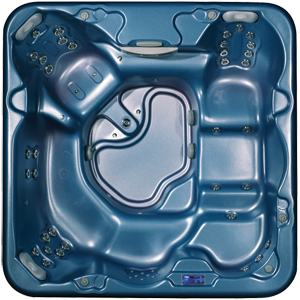 Every hot tub model is available in three different series, Extreme (ES), Great (GS) and Value (VS), making it even easier to find your ideal spa. And you can build your own paradise by customizing and upgrading your Aspen with a rainbow of colors, accessories and added features. 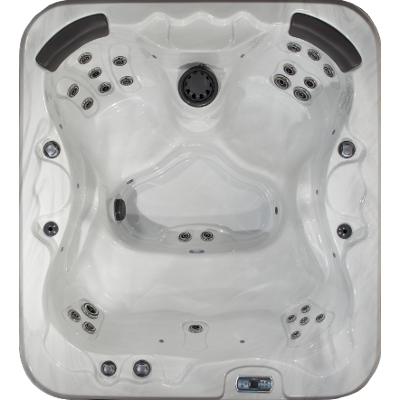 To discover all of your premium upgrade options and to explore each series’ distinct features, please visit our Aspen Spas website. Our 8′ spas mean more room for socializing, setting the mood or solace. Offering space for six or seven adults, our Aspen-exclusive seating options include the heavenly “no float” lounger (available in the Pinnacle), immersive captain’s chair and the open love seat. Get ready for paradise. 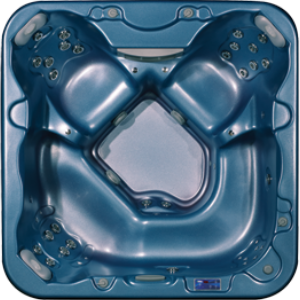 Our 7′ spas are available in four exclusive models – the Eldorado, Monarch, Canyon and Sopris. These designs comfortably seat 5 adults, allowing you to enjoy a variety of seating options, from the “no-float” lounger to the captain’s chairs, and know that in your Aspen Spa, you can relax in luxury. 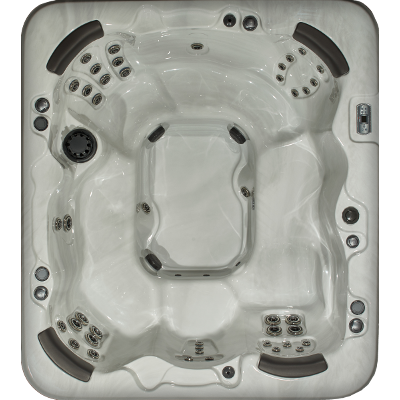 Aspen’s smaller spas offer all of the amenities and features of our larger hot tubs, in a space-efficient package. The Quattro has room for 4 adults, while our newest model, the Northstar seats 5 comfortably. Both spas offer different seating options, each with their own unique relaxation experience. * This spa does not come in an ES spa series, but is available in our GS and VS series. 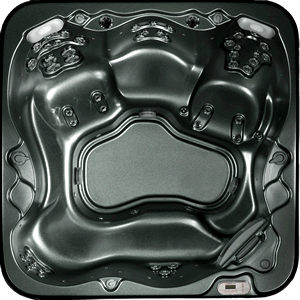 We encourage you to visit our Aspen Spas website for a buyer’s guide to help you make the decision of which hot tub to purchase. For any additional questions, please don’t hesitate to contact us online or call our St. Louis hot tub dealers today at (314) 328-6008. 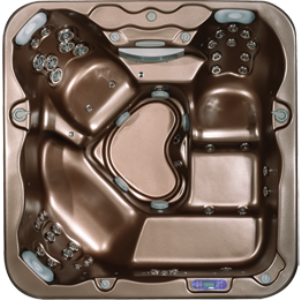 You’re also welcome to stop by our full public St. Louis hot tub showroom to try out the spas for yourself. We’ve got 7-10 spas running on the floor, ready for you to test. Come see the spas and hot tubs St. Louis has been raving about!